For +Weekly Photo Project 2013 our theme was Mirror. I experimented with some shots of mirrors that I didn't really like but lucked out with this shot. 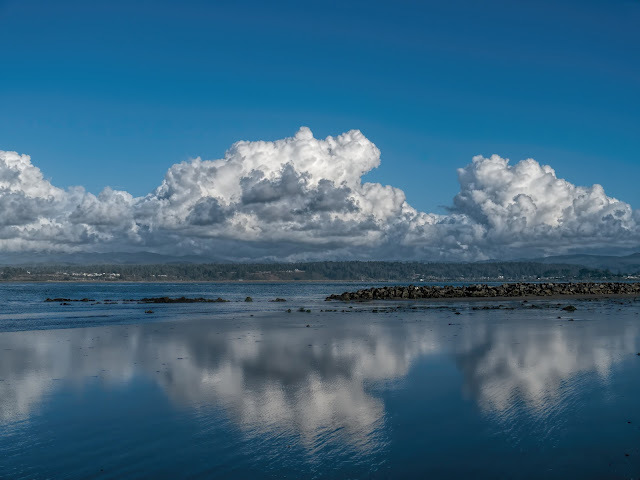 Great big puffy clouds over some relatively calm water. Didn't do too much to the photo, though I did use Clarity to accentuate the clouds even more and Detail a little on the clouds and in the water to, oddly enough, blur the water more. 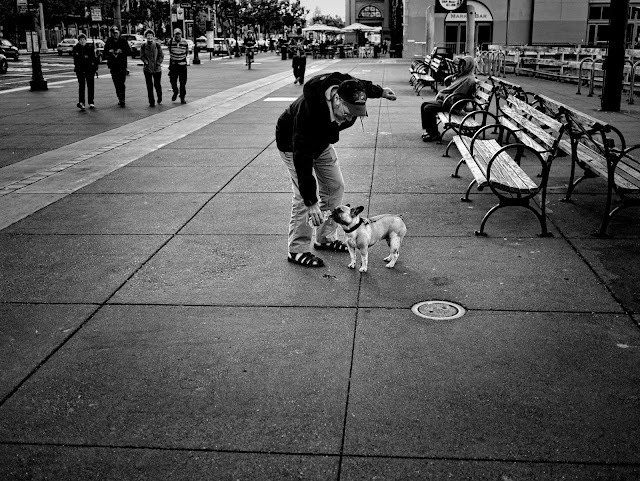 Street Photography for +Project 52 B&W. I don't really like shooting street photography. I feel like I'm spying on people. I want to ask them if I can photograph them, but then the spontaneity of a shot is gone. This shot was fun, and I didn't feel like I was spying too much. This was also shot with the wonderful 20mm Panasonic 1.7 pancake lens that a friend let me borrow. I really like this lens for its size and sharpness. Not to mention that fast 1.7 aperture! My only gripe is how slow it is when focusing. I was lucky this dog was thirsty while waiting for the lens to autofocus.